Welcome to the Music Ministry of New Hope. 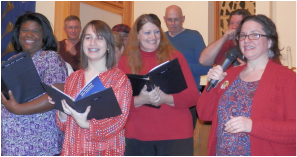 We encourage you to be a part of worship by singing in the congregation, playing/singing in the band, singing in the choir, and ringing bells. We have many opportunities for soloists and instrumentalist to share their talents. Scroll down to see 8:30 service music. Joyful Noise is a band that leads the 8:30am worship on the 1st, 2nd and 3rd Sundays of the month. Their music comes from the most contemporary song writers of today, continuing the practice of the psalm writers in the Bible. The group is made up of keyboard, guitars, bass, drums, wind instruments and singers. They rehearse on Tuesdays at 7:30pm (year round). 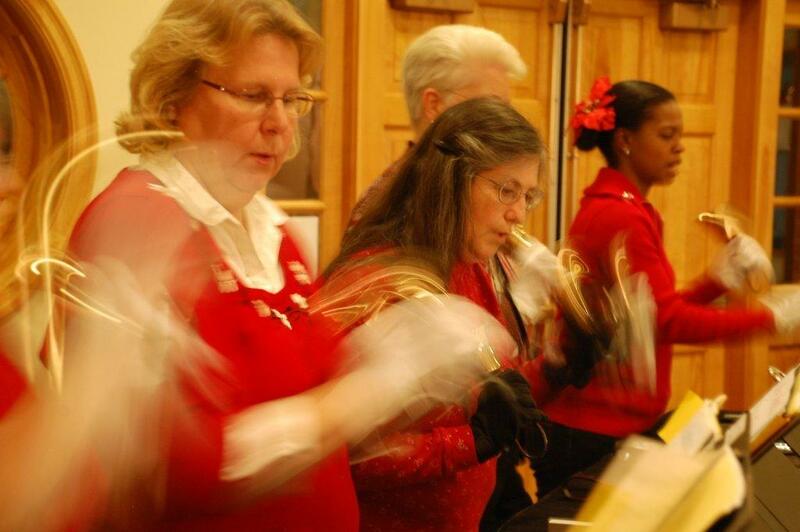 The Handbell Choir provides special music periodically through out the year. The Choir assists with leading worship at the 10 am service. Their music comes from many genres: 1500s to today. Sopranos, Altos, Tenors, and Basses join together to share their musical gifts. The Glocal Ensemble leads worship at 8:30am and 10am on the 4th Sunday of the month. Their music reminds us that all over the world Christians are singing praise to God. The group consists of keyboard, percussion, wind instruments and singers. They rehearse the first 3 Mondays of the month at 7:30p.